At DGC, we understand that architectural and engineering (A&E) firms have unique audit, tax and financial advisory needs. Our team of dedicated professionals has the specialized expertise to help you to monitor your performance, control costs, improve profitability, and manage cash flow. Our accurate and timely reports and industry-honed perspective can help you evaluate your firm’s performance, identify areas for improvement, and better manage your business from a financial perspective. 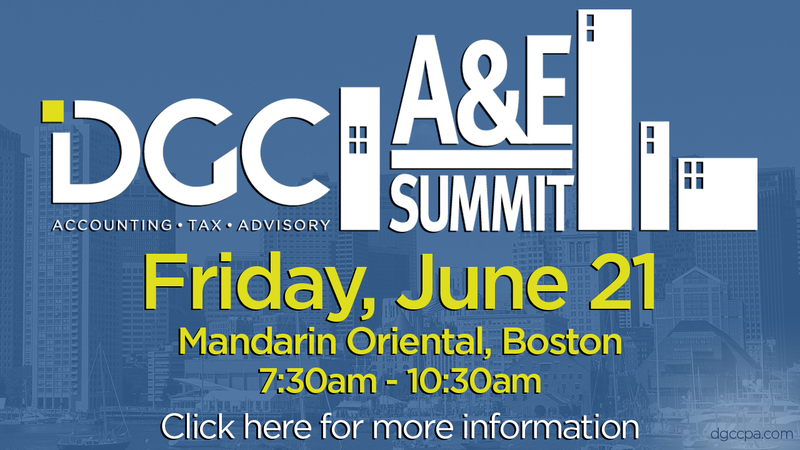 And as industry leaders, we host an annual A&E Summit which will be held on June 21, 2019. We also produce an annual Architectural Study and Engineering Report. DGC's 2018 Architectural Study and Engineering Report include detailed analysis of key financial benchmarks which can assist firms in assessing their strengths and weaknesses.